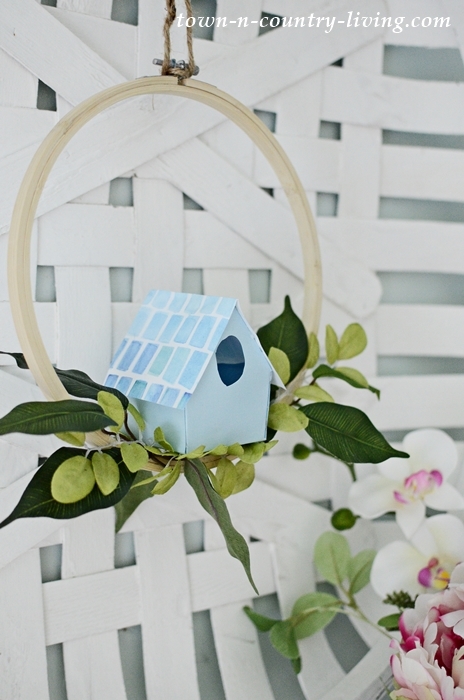 Make a Summer Birdhouse Wreath in Minutes! 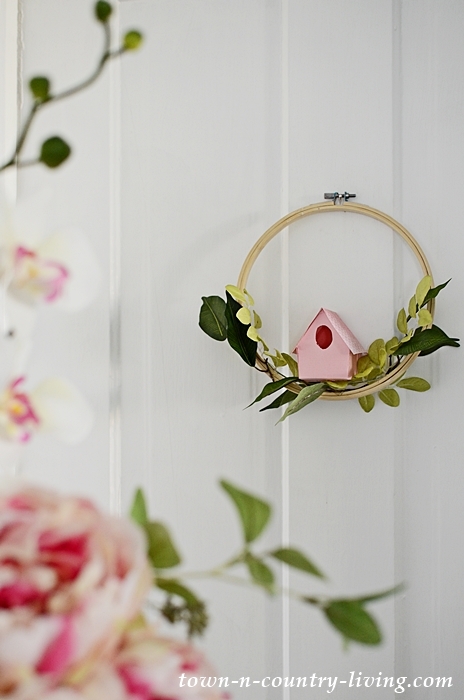 See how to make a cheerful summer birdhouse wreath to brighten any room in your home. A few inexpensive supplies and less than an hour of your time is all that’s needed! 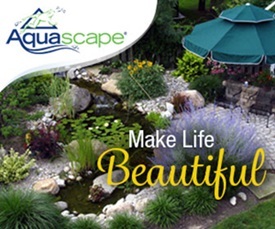 Welcome to the month of June! It’s the first Saturday which means it’s time for another Cozy Living post! 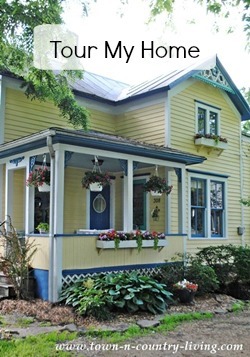 I’m joining my cozy blogging friends to bring you inspiration for enjoying the month of June. 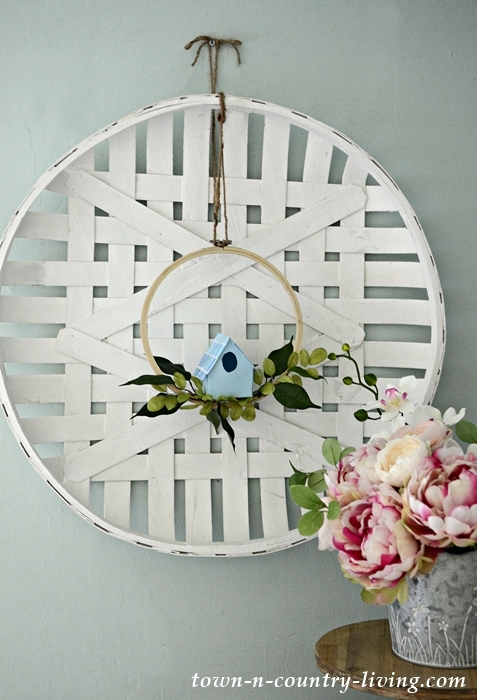 I like to create a few pretties for my home when I’m feeling inspired and today I’m sharing how to make a simple summer birdhouse wreath. 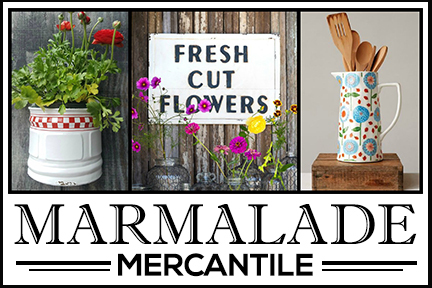 You’ll need an embroidery hoop, faux greens, decorative paper, scissors, a glue gun, and the paper birdhouse pattern from this website. 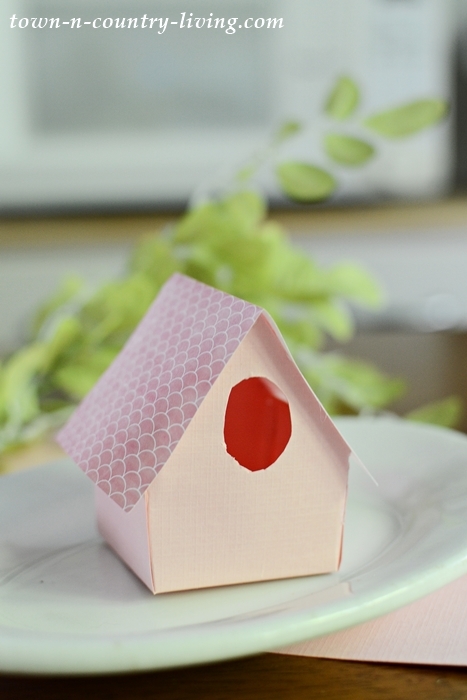 Trace the birdhouse pattern onto the colored or patterned scrapbook paper and cut it out. Fold along the gray lines and fold the sides up. Place glue on the flaps where instructed on the pattern. I made these DIY paper birdhouses a couple years ago. Cut a rectangle for the roof. I simply measured the width and length of the roof making sure there would be a bit of an overhang. Hot glue (or use school glue like Elmer’s) to add the roof to the house. While the glue on the birdhouse is drying, snip a few leaf stems from the faux green branch sprays (I bought mine from Michael’s). 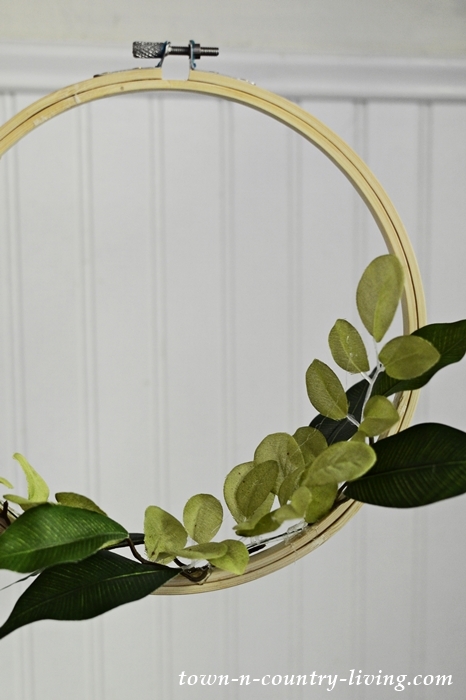 Hot glue the short leafy stems in a few spots onto the embroidery wreath. Remember, it doesn’t have to be perfect so don’t sweat this part. 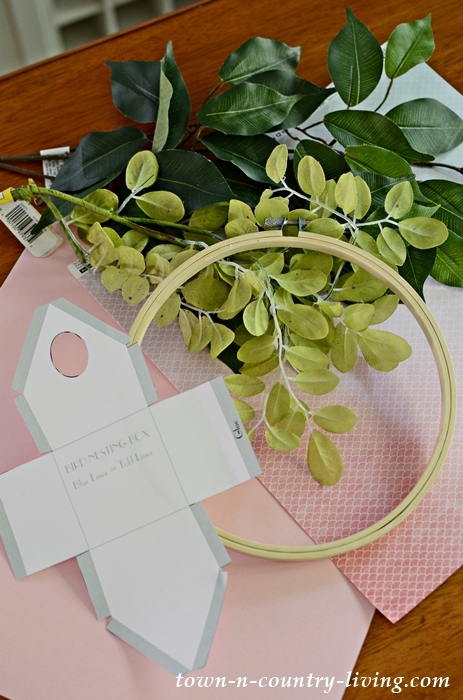 Using the hot glue gun, apply a few strips of glue to the bottom of the paper birdhouse and gently press it onto the leaves and embroidery hoop. Hold for a few seconds until the house is secure. If needed, you can poke the tip of the gun under the house if you need to get it to adhere better. 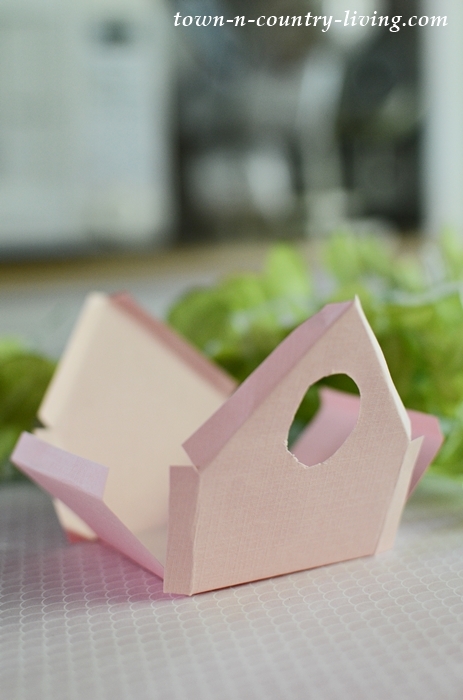 Since the birdhouse is lightweight, you really won’t need a lot of glue to make it stick. 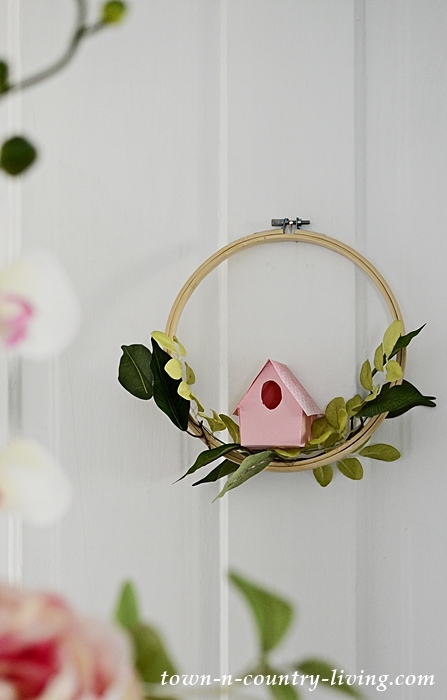 Tie a piece of twine or ribbon to the screw fastener at the top of the hoop to hang your DIY summer birdhouse wreath. Or you can hang the wreath by slipping the screw fastener over a small nail in the wall. 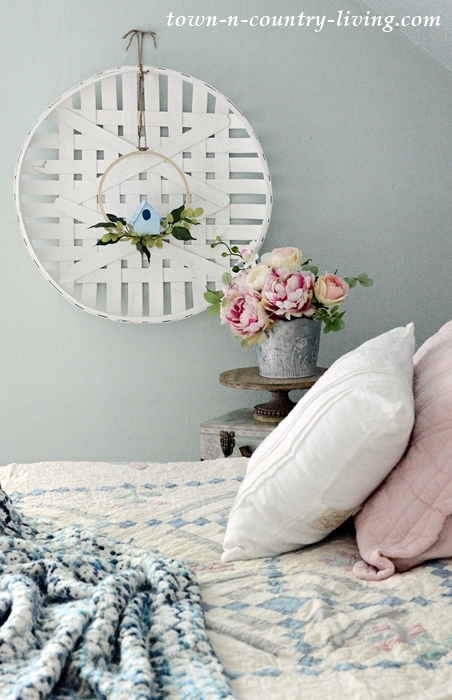 It’s little details like a homemade wreath that I use to add a bit of cozy appeal to any room in the house. For summertime, it’s simple and sweet, and brings a smile to my face. Visit my blogging friends below to see how they add cozy comfort to their light-filled days during the beautiful month of June! Oh my goodness, they’re so stinkin’ cute! Honestly, I haven’t made a wreath in a while because I just haven’t felt super inspired bu anything I’ve seen. These have changed that. They’re adorable! I can’t wait to try my hand at one. Thanks for sharing your cute idea, Jennifer! Again you have made something so absolutely adorable, thanks for sharing. So cute. Great tutorial too. 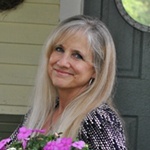 I’d love for you to share this post tonight a Talk of the Town! The party starts at 6 pm CST.